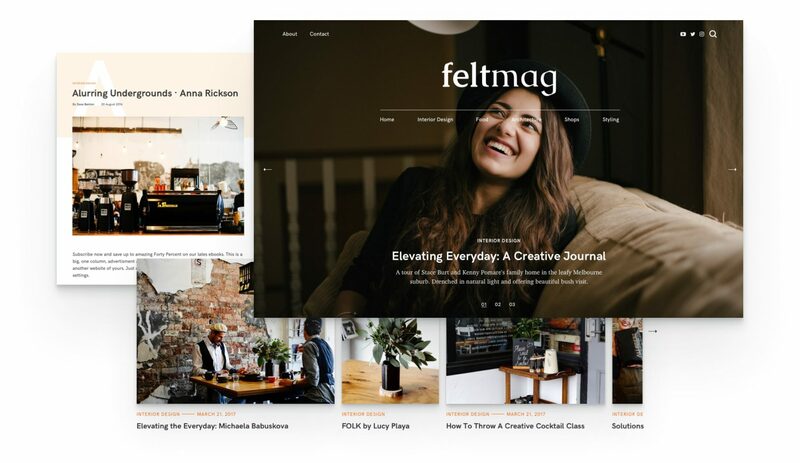 Felt is a magazine‐style WordPress theme for publishers who want to showcase their fresh ideas. 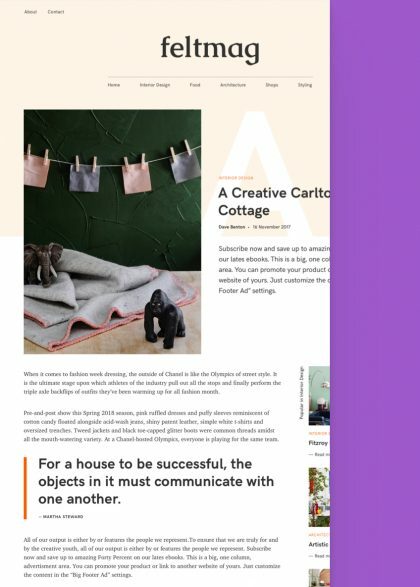 We designed specific areas, such as carousels and slideshows, to help you achieve the look‐and‐feel of a striking digital magazine. You have a generous playground to showcase your ideas and highlight the best of them. We make room for you to bring into the spotlight the right kind of content for the right type of audiences. Thanks to the modular layout you can highlight what’s truly important for your tribes to enhance stronger bonds. We developed a dedicated widget for plug‐and‐play ads to help you monetise your work properly. Invest your time and energy in what you love most, and boost your income streams. 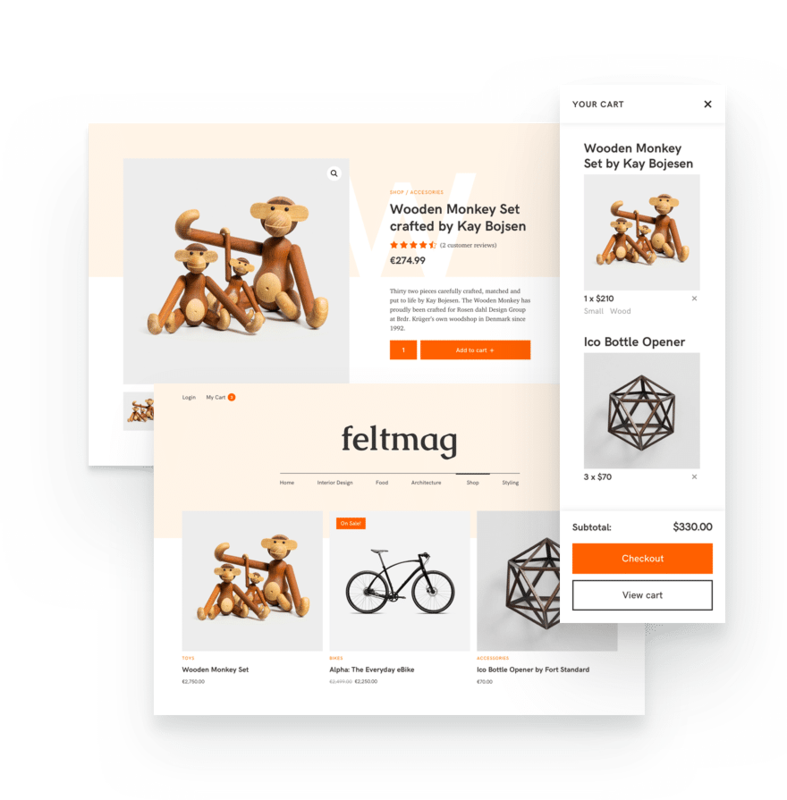 Beautifully integrated with the famous WooCommerce plugin so you can easily create the online store you want. 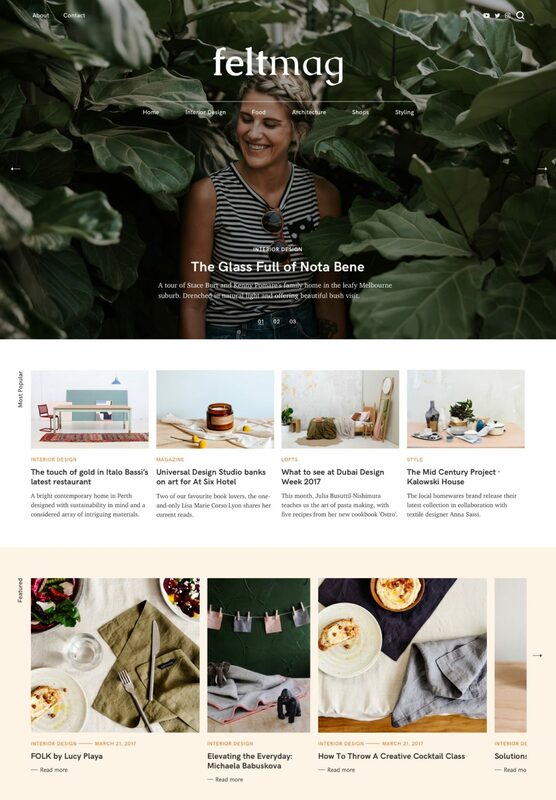 Maintain a consistent aspect of the website across the board: from the home page and the blog, all the way to the checkout. 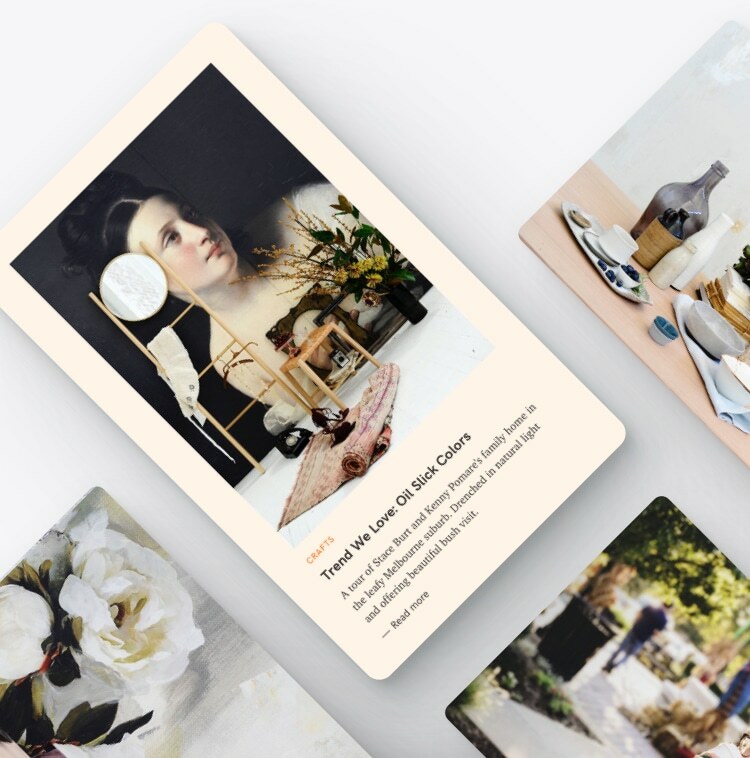 Drive more sales by offering visitors a seamless experience from a design and functional point. 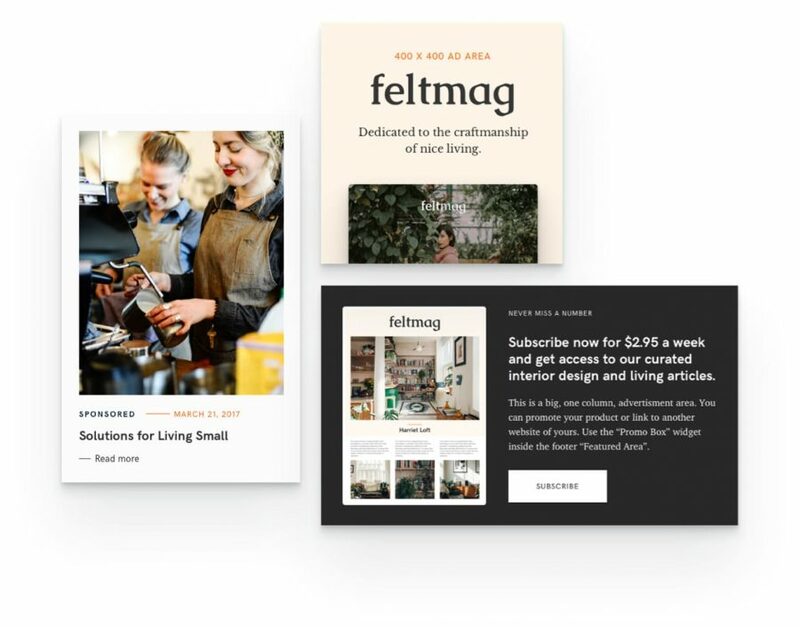 Impress your audience with Felt. Capture emotions and create a strong liaison with your visitors.